This situation seems incredibly weird to me. I just want to point that out. How strange would it be to have to live with practical strangers because your mom kidnapped you? When I decided to read Where the Stars Still Shine, I thought it was going to be a heavier book than what it is. There's nothing wrong with light books. This book isn't totally fluff, but it wasn't as deep as I (admittedly) assumed it would be. Truthfully, I just thought (and hoped) I was getting something different. I did really enjoy Trish Doller's writing style. She had me hooked into the story within the first chapter. While I don't feel like there was a whole lot of things going on in the story, there weren't any lulls or boring parts. Insta-love is such a huge disappointment. Seriously, if a book has to have romance, does it really have to feel so fake? Alex is supposed to be, according to Kat, a man whore (though, I suppose she could have been making that up as he rejected her before). Suddenly, Callie comes into town and he's reformed and head of heels for a girl that he knows nothing about? Sure. Totally believable. The ending was rather abrupt, too. Like, I literally didn't think it was coming so quickly. It felt rushed. The ending combined with how light and surface the book felt left me feeling unsatisfied overall. I just wanted more. 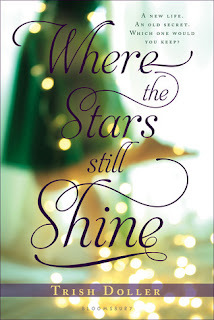 Where the Stars Still Shine was a decent book, but definitely not was I was expecting when I picked it up.